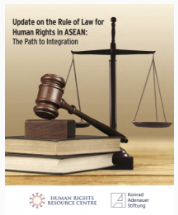 Update on the Rule of Law for Human Rights in ASEAN: The Path to Integration (2016) - includes a detailed Chapter on Thailand. the Rule of Law and Human Rights in Thailand page on the Human Rights in ASEAN website. In 2016, Thailand ranked 64 out of the 113 countries included in the Index, and 10/15 of the 15 Asian counties included. The website of the National Human Rights Commission of Thailand includes news and publications. The UN High Commissioner for Human Rights country pages - Thailand. (Open Access) From the World Bank. Provides statistics and other measures of business regulations and their enforcement for Thailand. The 'Law Library' link on the top menu provides a collection of business laws and regulations, linking to government sites where possible. provide up to date general information about legal and business infrastructures in jurisdictions around the world. 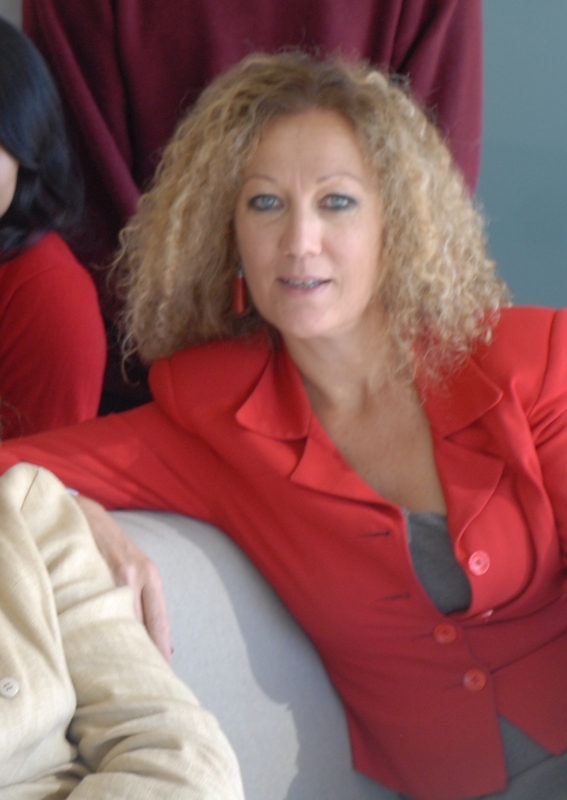 Lex Mundi is a network of independent law firms. (Open Access) Produced by Bangkok International Associates, Bangkok Legal Associates, AFG Venture Group, and White & Hart Ltd, this guide includes detailed information on many legal topics relevant to doing business in Thailand, including labor law, intellectual property law, and corporate income tax law. 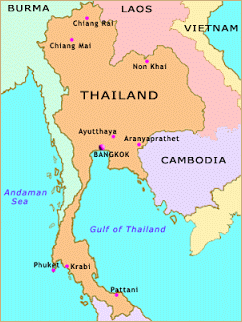 Thailand has a predominantly civil law legal system, but it is a hybrid of many influences.Thai law has its traditional bases in ancient Hindu Code of Manu, modified to conform to local custom. During the 19th century, the Siamese legal system was developed to model the French civil system, and is thus primarily statute based, with major Codes resembling those of European civil law jurisdictions. Common law features are also evident -such as the separation of powers, as are the ancient Hindu traditions. The Thai legal system is a statutory law system, which means it is mostly based on written law passed by the legislature. Primary sources of law include the Constitution, which is the supreme law, legislation such as Codes and Acts, decrees and custom. Judicial decisions are not binding, but in practice Supreme Court decisions are persuasive, have some precedential value, and are often used as secondary authoritative sources of law. 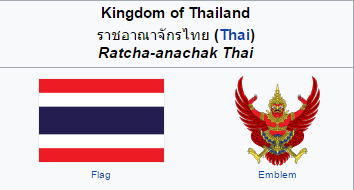 The Kingdom of Thailand (known as Siam until 1939) is the only South-East Asian nation to have remained independent of colonial authority throughout its history﻿. The absolute monarchy was replaced with a constitutional monarchy in 1932, and Thailand has since made numerous attempts to establish a modern system of democratic government. There have been 20 Constitutions and at least 18 coups since 1932, resulting in rapid and repeated fluctuations between military rule and elected government. Under the Constitution, the system of government of Thailand is based on the common law Westminster system, and divided between executive, legislative, and judicial branches. The King is the Head of State. Information on the current structure of the Thai government is available on the Thailand Law Forum website. The following resources include general country information - history, demographics, economy, politics and government etc. Thailand Country Review (UniMelb staff & student access) - an annually updated detailed report of demographic, social, political, economic, business, investment, cultural and environmental information. This is an excellent an up to date source of information on the history and government of Cambodia, and includes information on freedoms, human rights, status of women etc. Europa World Plus (UniMelb staff & student access) - use the Countries/Territories tab on the top menu to find information on Thailand. The Human Rights in ASEAN Online Platform (open access) - Thailand country information. The CIA World Factbook - Thailand (open access) includes country information in 80 topic areas under the main headings of Geography, People and Society, Economy, Energy, Communications, Military & Security, Transportation, and Transnational Issues. Australian Government DFAT Thailand Country Brief and Country Fact Sheet (open access). This Research Guide is maintained by Robin Gardner, MLS Academic Research Service, Melbourne Law School. Please contact Robin at law-academicresearch@unimelb.edu.au with corrections, suggestions or comments about the Guide.